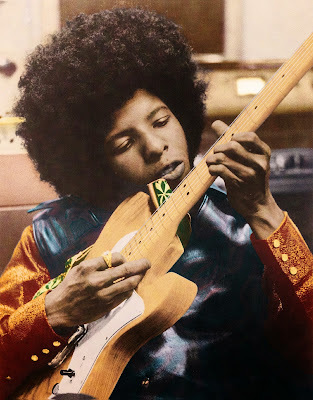 On paper it might seem like a brief period to cover but in reality the Stone Flower label recordings of Sly Stone represented an important transition point in the man's amazing early career. The result of a masterful job by Light in the Attic, I'm Just Like You: Sly's Stone Flower 1969-70 is an essential purchase for anyone with more than a passing interest in the musical genius that was Sly Stone. People need to remember that Sly was a successful producer before he was an international pop star. Working with groups as unlike the Family Stone as the Beau Brummels, he had become a studio whiz ages prior to "Dance with the Music" climbing the charts. 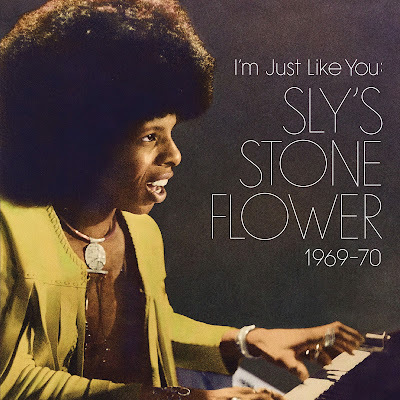 I'm Just Like You: Sly's Stone Flower 1969-70 makes the case that the few releases on the Stone Flower imprint reflected a turning point in Sly's career. 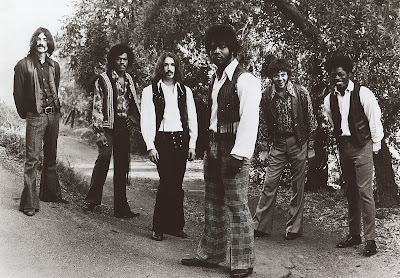 The Stone Flower Productions of Little Sister, Joe Hicks, and 6ix are completely in Sly’s image, and on many levels the contents of this anthology could really be considered a Sly Stone solo project. This is not the traditional story of a label or producer, but rather a disparate yet oddly cohesive collection of flashes from a musically febrile mind in a most fascinating phase. Stone Flower as such was not really an experiment, but it was certainly experimental. And those same liner notes make the case that Sly's use of the Rhythm King drum machine prototype marked a stylistic leap in the man's output. The use of the machine freed up Sly to concentrate on other parts of the music and gave him even more control in the studio. First up is 6IX. There's a version of "I'm Just Like You" here that's billed to the band but which is, essentially, all Sly. It's a funky and percolating jam that sounds like the best stuff on There's A Riot Goin' On (1971). 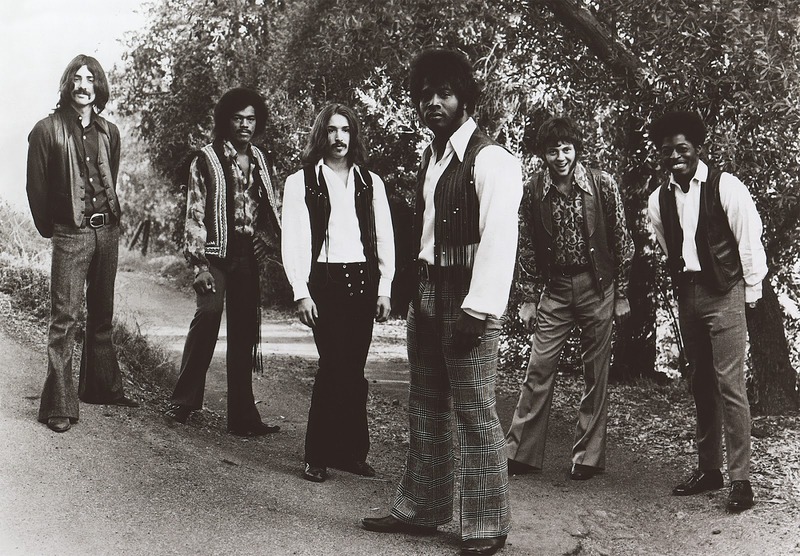 The band is also represented by a few other cuts including the full band of the previously mentioned tune along with "You Can, We Can" which adds a hint of Chicago blues to what is essentially a typically Sly and the Family Stone-sounding tune. It's a rough and slightly hard jam that hints at the band's other strengths. The obvious highlight of this set is "Home Sweet Home (Part 2)" by Joe Hicks. 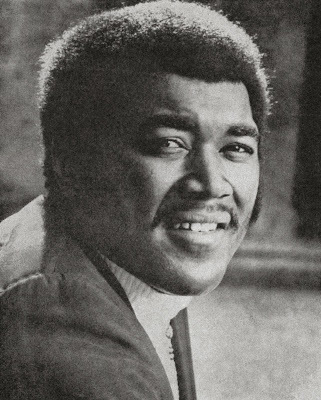 Sounding like James Brown doing a Wilson Pickett cut to death, the song is fabulous with familiar flashes of the Sly sound on the guitar and organ riffs. The horn-filled bridge takes the song into another glorious direction. A revelation! Joe Hicks is represented by just 2 others cuts with my favorite being the Otis Redding-aping "I'm Goin' Home (Part 1)". 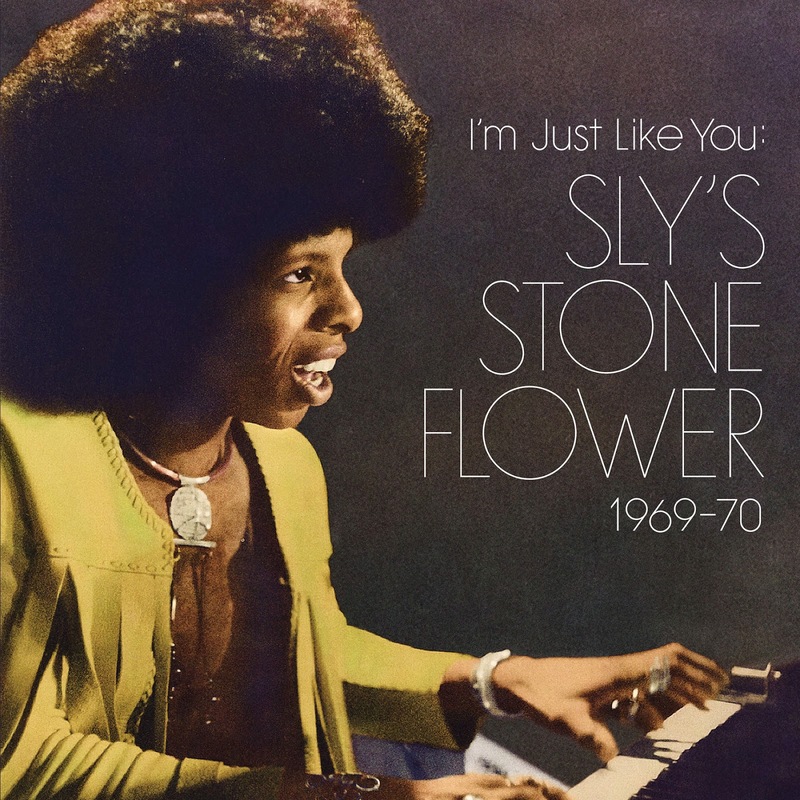 It's a horn-heavy, hook-filled stomper and another delight of I'm Just Like You: Sly's Stone Flower 1969-70. Sly's input can be heard in the bridge and chorus and the production. The pleasures of the cut come from the bits that sound unlike Sly's work brushing up against the bits that do. Dig it. The coolest tracks on this compilation are probably those from Little Sister, featuring Sly's sister "Vet" Stewart. 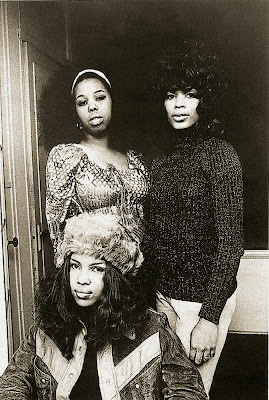 The girl group ups the funk on what are essentially strutting near-Motown-styled pop songs. In some perfect world, these would have been bigger radio hits, though "You're The One (Parts 1 & 2)" did nearly reach the Top 20 in the USA. "Somebody's Watching You" sounds the most like a Sly Stone production, especially since it was a remake of a cut from the Stand! album. 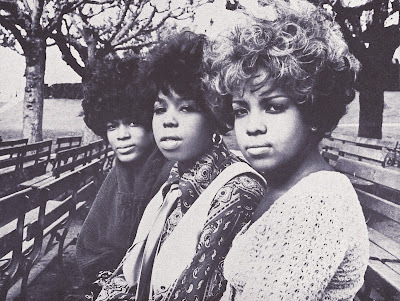 Featuring production that echoes Sly's best work, the alternately soulful and soaring vocals give the song new shades of meaning and emotion. It's both a familiar Sly joint and something more. I'm not going to try to compete with the excellent liner notes for this record by Alec Palao so let me just end this here. If you are any kind of fan of the genius that is Sly Stone, run and get I'm Just Like You: Sly's Stone Flower 1969-70 from Light in the Attic for a fascinating peak into the man's most fertile creative period.